Do you have news, reviews or comments for 'Unplanned'? 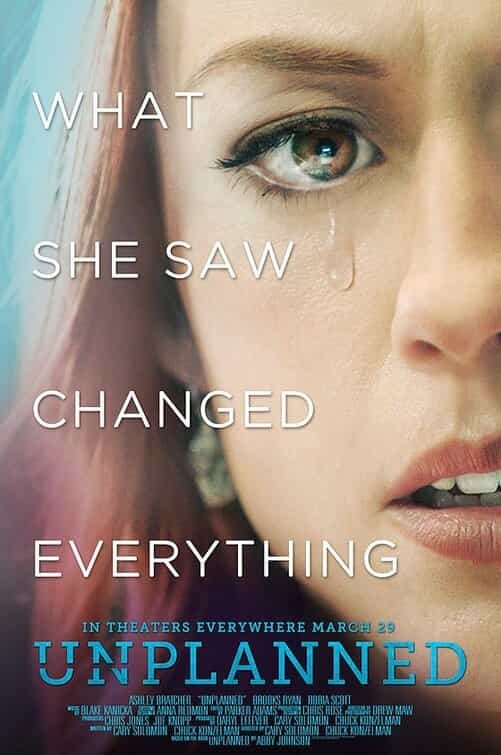 In a dim-witted Christian drama part-financed by the disgraced founder of a pillow manufacturer, a woman discovers abortion is evil. The makers of the divisive anti-abortion movie — a word-of-mouth hit that a physician called misleading — say they've been shunned by mainstream media. Disney continue their release of live action version of their classic animations with Dumbo which replaces Jordan Peele's Us at the top. Directed by Tim Burton Disney brings to the bog screen this live action adaptation of their 1941 cartoon Dumbo. The film got mixed reviews from the critics which could explain the good but not great $45 million debut weekend which is lower than expectations. Falling to number 2 on its second weekend is the much praised horror film which takes �33.6 million to push its total US gross to $128 million. Now on its fourth weekend of release the Marvel hit takes $20.5 million which pushes its total gross to $353.8 million. Proving to be a sizeable hit the romantic drama takes $6.2 million this week to boost tis total to $35.8 million. Coming in at number 5 this week is this new true life drama from directors Chuck Konzelman and Cary Solomon which takes $6.1 million on its debut.